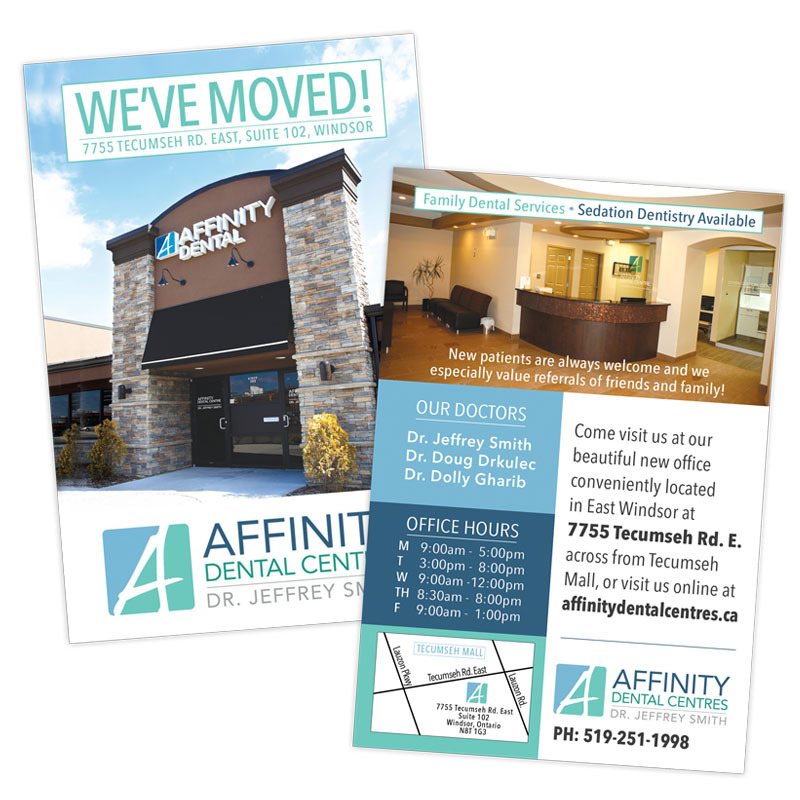 Affinity Dental Centres was gearing up for a move to a new location and wanted an update to their brand and corporate identity. We stepped in and designed a new logo that fit the company perfectly! 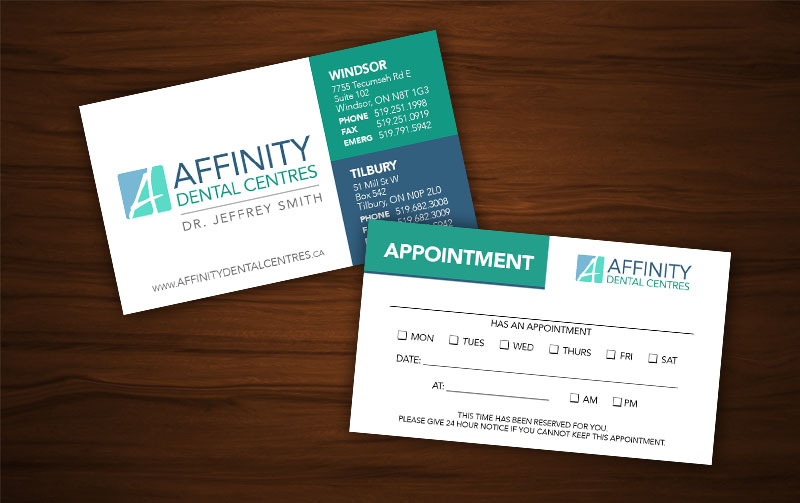 From there, we designed business cards, letterheads, envelopes, appointment reminders, social media graphics, and postcard advertisements. We sourced printing at a much lower cost than available locally and handles the direct mail campaign to notify the community of the move and re-brand. Next, we designed and developed a website that matched the company brand in a simple manner to enforce a proper user experience. The website was developed with WordPress for easy user management, and is fully mobile-friendly and responsive across devices. Our design team strategized many concepts and landed on a clear winner. 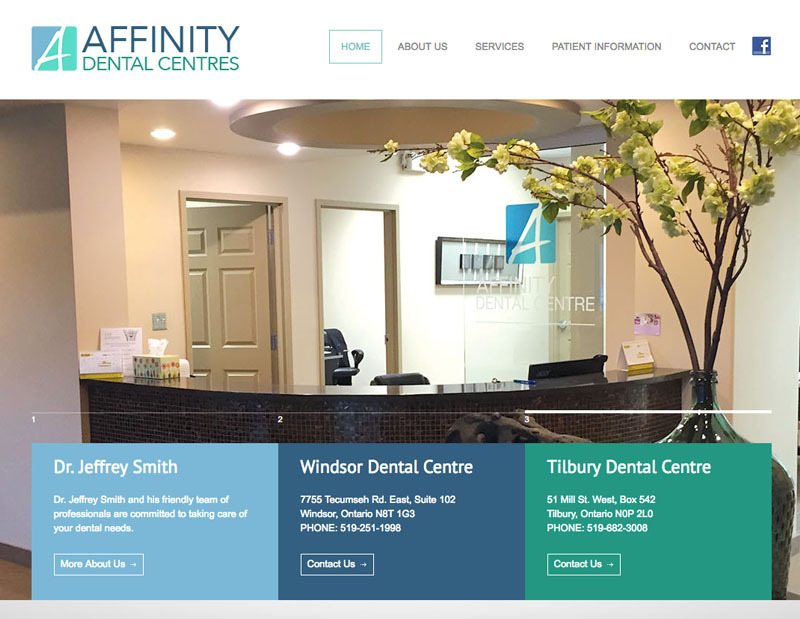 The new logo for Affinity Dental Centres provides an exceptional foundation for the complete corporate identity. 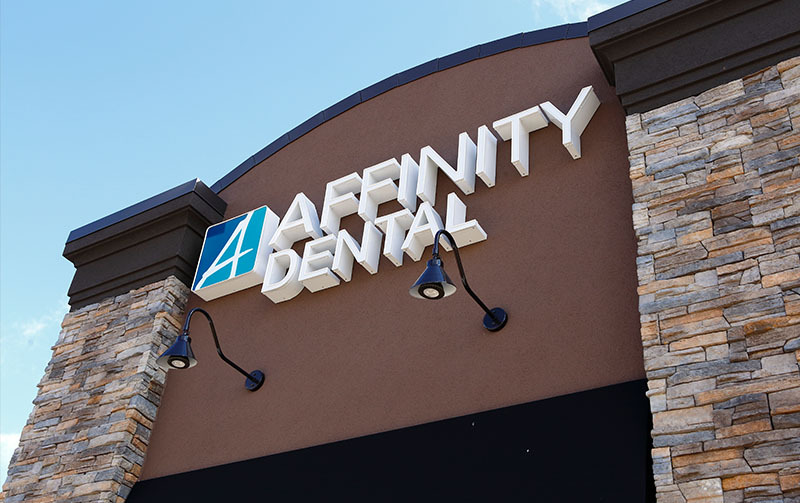 The look and feel is very clean and professional, just as customers expect from their dentist. The new logo works extremely well in any situation. The store front signage looks spectacular and is highly visible. The logo included two format variation (horizontal and vertical) and light and dark versions. With the new brand, came a move to a new location. We needed to inform the community and did so with a direct mail campaign. It was a successful kick start to introduce the new logo and location. We designed and developed a custom wordpress website with an attractive look and feel, yet simple user experience that was strongly branded.